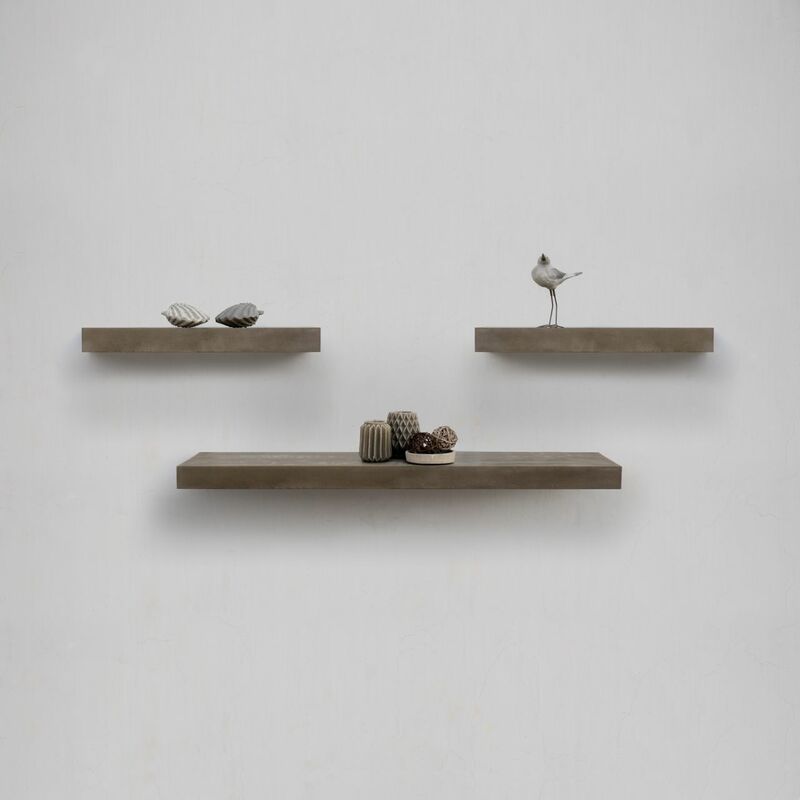 Bringing their own unique characteristic and completing your home in a beautiful way, our latest launch is sure to add the much-entailed personality and core to your interior spaces. 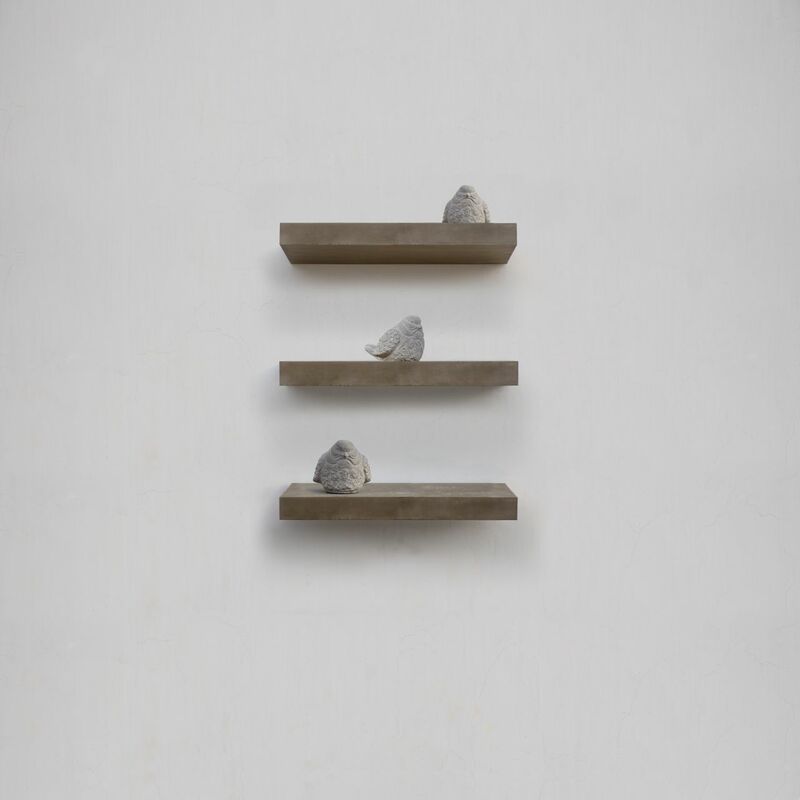 With a contemporary edge and a textured surface, our Concrete Island Floating Shelves will provide visual interest to the barren walls while making them an ideal place for resting your gathered objects. 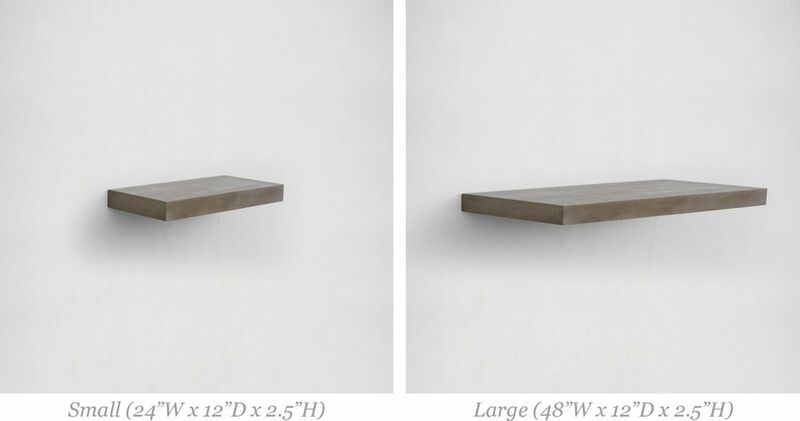 Available in 2 sizes, this design features concealed mounting hardware. 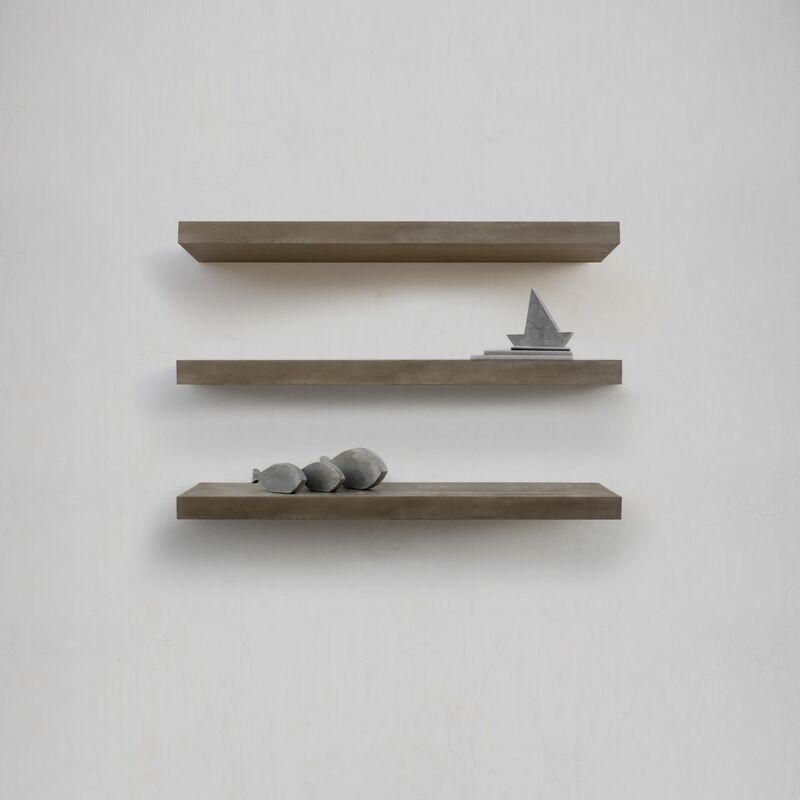 Becoming one with the wall, our shelves provide a sleek, minimalist display for your collectibles and books. 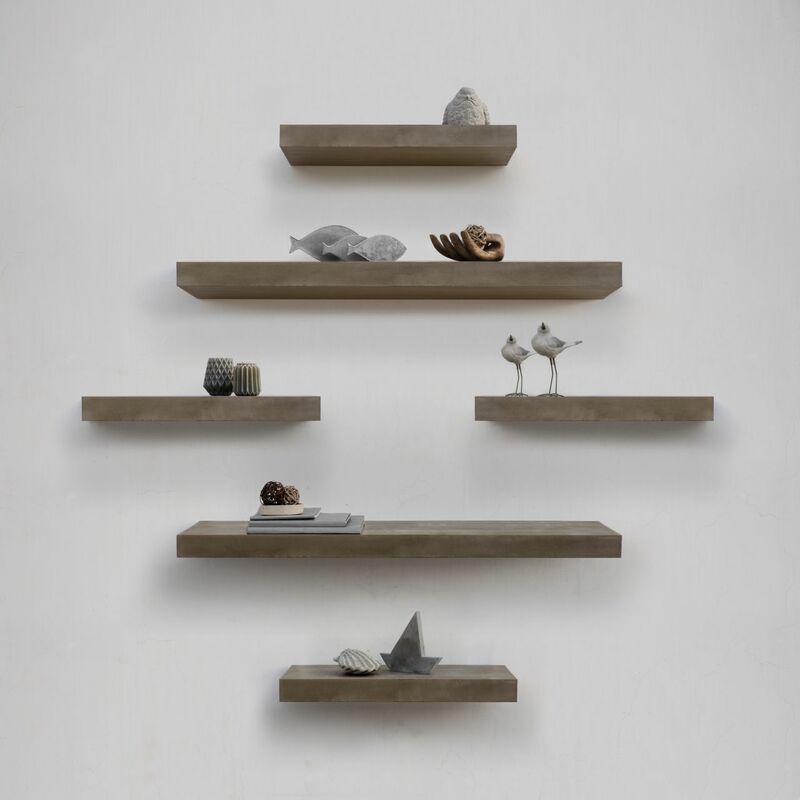 Based on the available wall size, experiment with our shelf sizes and create beautiful and endless combinations that truly define your space. 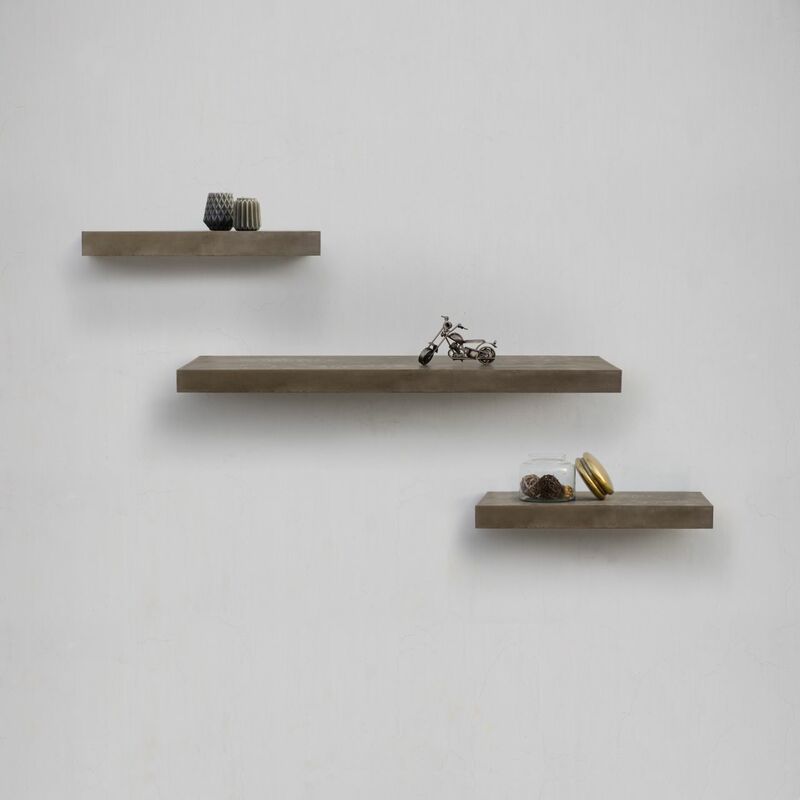 Whether you want to create some extra storage or decorate your rooms this design will make your walls more sophisticated and organized.